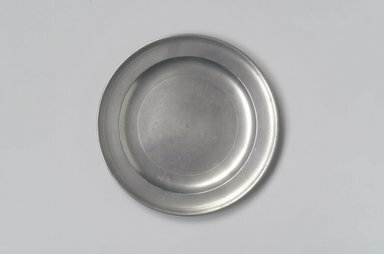 Highly polished round pewter plate with wide rim that curves upward at edge. Incised line around rim, about 1/4" from edge, and around inside bottom of plate. CONDITION: Good; some darks spots of discoloration or corrosion on both top and underside; light scratches on inside bottom.